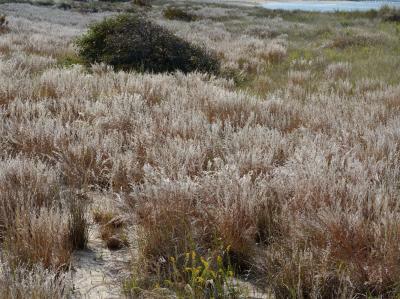 Coastal bluestem is an excellent low grass for dry sites. 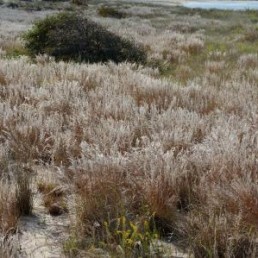 Coastal bluestem grows along the coasts of New England south to Texas. It is shorter than the more common, inland little bluestem. Great for borders, and dry sites. 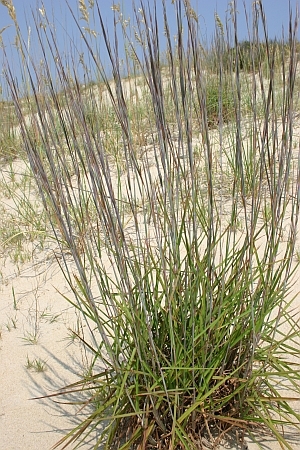 Tolerant of salt and poor soils.